Before you start, we would like to somewhat restrict the entries to direct descendents of Speed and Hazel including spouses. However due to a size restriction, we don’t want to get too far flung. So for example, we will put Virginia McCurdy as Don’s wife, but don’t want to get into her sisters Mary Kay, Margaret, their spouses and kids. Get it? If you want to do your own family tree, www.myheritage.com is a pretty nice tool and can handle up to 250 relatives without any payment.We are already at that limit but I paid for the next couple of years so we can continue to have babies! 1)	Go to: www.legacylodge.org and click on “Family Tree” in the upper left menu. 2)	In the top right corner, select “Log In”. 4)	At the bottom it says “Tree View.” I prefer “Classic” but you can make that call. OK, you’re in. Now comes the fun part. 5)	Near the top of the page, you will either have a tiny tab called “Options” or a menu with a Back Arrow, Home, Slideshow window. If you see “Options” click on it to reveal the window. 6)	Choose “Home” to get Don And Ginger in the center position (that’s where I started so they are the home default) then click on Speed and Hazel to the upper left of Donald’s icon to move Speed and Hazel to the center of the frame. That will be most of your starting positions. 7)	If you don’t see your folks listed, there’s a little arrow under the bottom of the list that acts like a scroll bar to get the rest of the family in view. 8)	First, I’d like you to review your family; I don’t have a lot of birth and death information so it would be great if you could start by updating all of that. Then dig into your own limbs and leafs of the tree. a. For example, if you select “Florence Josephine Yearout” it will show her spouse George Raymond Howard. Under them will appear their four kids and selecting them will reveal their spouses and kids. b. To make a change, mouse over a name and select the “pencil” icon. That allows you to edit the name, birth date, gender, etc. Hit “OK” when finished and go on to the next edit you want to make. c.	There are ways to add divorces, and second spouses and resulting kids from the new union like Leona and Vera. That’s a little more complicated so if you can’t figure it out, give me the details and I’ll get the info updated. d.	To add a photo, select the person and in the margin on the left, you’ll see an “Add Photo” button. It’s got a pretty typical “Browse” function to upload the pic. If you aren’t familiar with that, email the pic and description to me and I’ll do it for you. i. For an example, see that I added a photo in Speed’s window and also added Olivia and Magnolia under the Ryan and Dora icons. This is a worthwhile project that I hope you will help us update and complete and maintain as new pups come along. We all have a little “uncle Jack” in us wondering who’s connected to who… this will help keep the record straight for future generations. You may need to explain the uncle Jack reference to your kids. Please let me know if these instructions have holes in them, or you have discovered an error that I can fix in this description. There is apparently a problem with a part (is it called a thermal-coupler?) that will need to be replaced. The ignitor didn’t seem to generate any spark either, but Skeel was able to get it going with some patience and a match and it held up throughout the day. However, before leaving, we turned it off using the switch and the pilot light went out again. We need to replace every part in the unit to create some stability there. Heidi suggested rolling back to a wood-burning fireplace but the lack of a wood-fire chimney and greatly expanded clearance from the wall would need to be addressed so I’m hoping we can get a more dependable gas-burning situation going. When Steve, Sindy, mom, dad, Tara, Molly and I arrived just after noon, everyone (except the aforementioned twins) was outside huddled around the firepit. A tarp over the lawn swing provided the only way to get out of the rain, but it was downwind from the fire so you could either stand in the thick smoke or the rain. Of course, being Yearout’s, moving the swing upwind was out of the question! This was not shaping up to be much fun at all; the mood was generally subdued. However, not being too quick to throw in the towel, we got the food cooking (the stove and oven worked great), the fireplace and lamps lit and the cabin started coming to life. Everyone moved inside and the momentum began to build. It reminded all of us of the old days when the first gen would shoo us kids outside and the main partying took place inside. (no voice in the loft kind of stuff). The first generation treated us to entertainment I’ve not heard in a long, long time. Patti and Gaynelle did poems and songs they, Jo and Roy had written 70+ years ago. Dishes to Do, Father Dear Father and The Love Bug were all performed to the delight of young and old alike. The real tears flowed when Leon said he’d like to hear Mandy Lee and to all of our surprise and amazement, they struck it up… “they” being Leon, Leroy, Don and Gaynelle. I’m tearing up just writing this. I could be wrong but suspect it has been 40 or 50 years since that quartet has sung as as group. Anyway; this nearly scuttled event was an unqualified success. Here’s to the legacy! 6) Write your body copy and select either “Save and Continue Editing,” “Save” or “Publish” to take it live on the site. 8) When you’re happy with the post, select “Publish” to take the journal entry live. 9) Sign Out in the upper right corner of the masthead. 10) To edit, select “Manage” from the top navigation menu, select “Edit” next to your article and go for it. Here we are in the 21st century and we have just taken the cabin journal to the web. You can use this new tool to document your visit to the cabin much like the journal we’ve always had up there. The cool thing about this tool is the ability to search by date range, by any name listed in any story; e.g. Show me all entries that contain Marcus, or by author; e.g. Show me all the entries written by Debbie for any given date range. The new photo tool works much the same way. 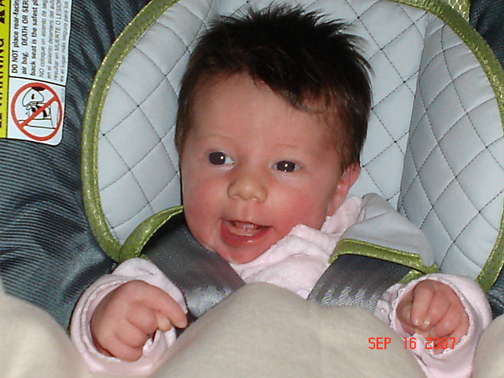 You can upload photos from cabin visits or from family gatherings or just general photos like to announce the birth of a new baby—Olivia born to Ryan and Dora Yearout on September 2, 2007. 7 lbs, 14 oz / 21 inches long. Full head of dark brown hair. It’s important to make sure you identify all of the people in the photo, the date and place it was taken so we can search by any of those criteria. This tool was the combined effort of Tara Yearout, her dad Marcus and a bunch of advice and assistance from friends and neighbors. Hope you enjoy it. At the annul members meeting, Memorial Day weekend 2007, the cabin members voted to fund a deck railing, benches and snow guards to prevent future avalanches from wiping out same—and we discussed moving the fire pit. In late June 2007, a nearly impossible—or at least highly improbable—event occurred. Marc, Tara, Ryan, Dora, Shannon and her parents actually did the work! That same weekend, Donovan, Bonnie and family dug and lined the new fire pit. The snow guards (not pictured) were installed in mid-July—making this a banner year for work accomplished. Hope everyone enjoys this effort for years to come. Legacy Lodge is proudly powered by WordPress.